Discover the eLEARNING-200 course SMC-109 - Programmable Controllers! 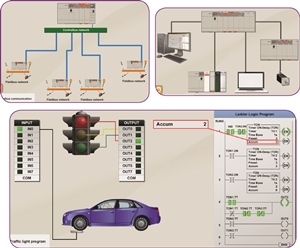 Run through the different types of Programmable Controllers (PLC), understand how a Programmable Controller works, its general structure, general concepts of programming and possible applications for these devices. You can learn all this information and much more in the SMC-109 - Programmable Controllers eLEARNING-200 course.